Samantha Lenaghan was a finalist in the WA finals of the National Carer Awards, nominated for her practical and emotional support to her family. Mrs Lenaghan and her husband Paul have four children, aged four to 15, and share their parenting and caring responsibilities. 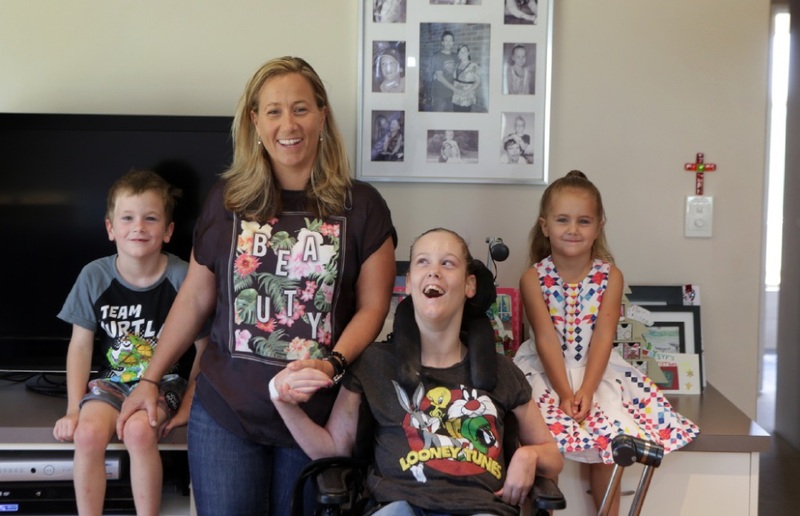 Their eldest child Caitlin has severe spastic quadriplegia, epilepsy and vision impairment, is non-verbal, non-mobile and fully dependent on others. Mrs Lenaghan works to give her daughter a better quality of life and to interpret her needs, from the simple tasks to complex medical procedures. On top of juggling what she does every day at home, she has consistently advocated for change for people with disability and for better quality of life for carers. Since Caitlin’s birth, Mrs Lenaghan has identified with the needs of other families and has extended her sphere of influence, sharing her lived experience with those in similar situations. At the Centre for Cerebral Palsy she co-ordinated a parent focus group support network for families of children with a new cerebral palsy diagnosis. She is assisting with the set-up of a “companion parent” register for families of older children with cerebral palsy to connect a family with a child with a newer diagnosis. She has also co-ordinated groups of carers to attend short breaks together, has been an active member of the consumer reference committee at the Ability Centre and chairs the Bio-Rehab for kids fundraising committee. She shares real life perspectives on children with special needs by addressing teachers and students at TAFE and at Princess Margaret Hospital to educate hospital staff. Her nomination said her focus has been on remaining personally accessible and reliable to others.